Edward Cruz, 25, of Oak Lawn was allegedly drunk when he fatally struck Amira Nairat, 15, as she walked to Richards High School. CHICAGO RIDGE, Ill. (WLS) -- A Richards High School student who was fatally struck by an allegedly drunk driver was laid to rest on Wednesday as the driver charged in her death appeared in court. Amira Nairat, 15, was remembered as a kind, quiet girl as family and friends gathered at Hann Funeral Home in south suburban Bridgeview to say their final goodbyes. 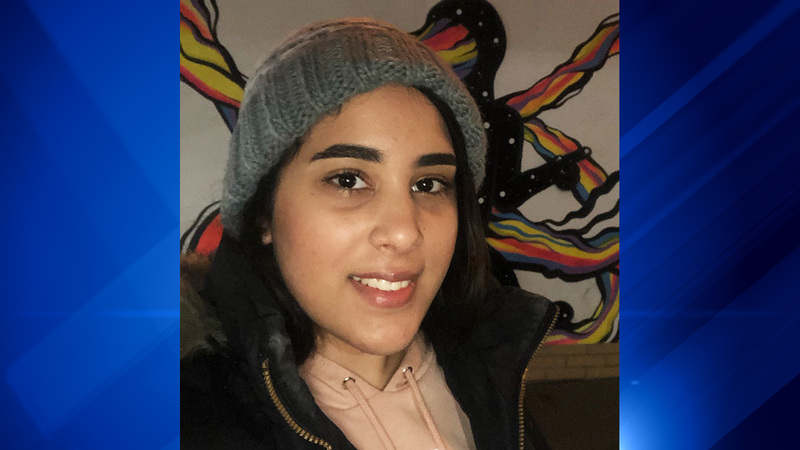 Amira Nairat, 15, a student at Richards High School was fatally struck Monday morning in Chicago Ridge near her school. Nairat was walking to school when she was killed just after 7:45 a.m. Monday in south suburban Chicago Ridge. Edward Cruz, 25, of Oak Lawn appeared for a bond hearing at a Cook County courthouse. A judge denied him bail. He nodded to his parents and stood silent as prosecutors detailed his hours of drinking before the deadly crash. Amira Nairat, 15, was killed as she was walking to school at Richards High School in Oak Lawn. Assistant Cook County State's Attorney Nicolas Bross said Cruz was watching the Super Bowl at a friend's house where he drank about 12 beers. He left the house at about 10:30 p.m. Sunday. Within an hour, authorities said Cruz was at 115 Bourbon Street, a popular bar in south suburban Merrionette Park. At 11:34 p.m. Sunday, the bar called Merrionette Park police on him. "We were told a gentleman went behind the bar and took a couple of bottles of liquor, very expensive bottles of liquor, drank out of them, which immediately tainted them, so they were ruined," said Chief John Palcu, of the Merrionette Park Police Department. Edward Cruz, 25, of Oak Lawn, was charged in a crash that killed a 15-year-old Richards High School student. Police took him to the station, where he was charged with misdemeanor theft. Just before midnight, police released him. Police said a woman picked him at the station. However, Cruz was up at 6 a.m. Monday. "The defendant returned to the home of his friend and was drinking from a bottle of whiskey. The defendant told his friend he was messed up. The family of the friend asked that the defendant to leave and the defendant did so, driving away in a Volkswagen Beetle," Bross said. Amira Nairat, 15, was a freshman at Richards High School. Cruz was allegedly involved in two crashes before hitting Nairat just before 8 a.m. Monday. When he was arrested, police said Cruz had bloodshot eyes, slurred speech and had apparent vomit on his clothing. Cruz was arrested for drunken driving in 2016, but had plead guilty to reckless driving as part of a plea agreement. "The expectation of the family is justice. We have our faith in the judicial system that justice will prevail," said family attorney Rouhy Shalabi. Cruz will return to court next month.